Plans start at $99 per month depending on features required. Pros: We have been looking for a community solution for quite some time till we discovered tribe. It is a modern platform, well designed and well thought on its integration. It has an intuitive and straight forward interface. unlike other solutions on the market tribe is not over selling over its features. tribe comes with our highest recommendation. Cons: Anything that was a concern has been addressed very quickly by the customer success team. The only thing I would mention to help others make a right decision would be the platform itself is a tool. you need to build the community around your brand and invite your members to join your tribe. Overall: Tribe comes with our highest recommendation. When we set out to build Tribe, our goal was and still is to to provide highly intuitive community platform. We're also highly inclined towards offering powerful customization options via integrations, widgets and API. It's an honor to have you using Tribe. Excited to build our community. Pros: Easy to use, customizable, visually appealing. Cons: I haven't come across one but if I do I will make sure to share. Overall: We got to know about tribe as we were beginning to plan for creating a community for our customers. Our experience so far with Tribe has been a great one. We have received great support from the Tribe team. The platform itself is very easy to use and we appreciate the proactive support suggestions we receive for improving our community. 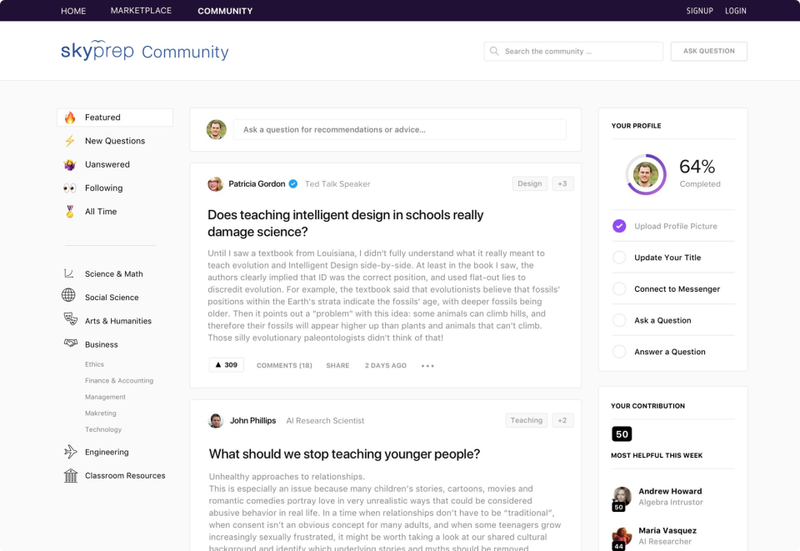 Tribe is trying to help users customize their communities with the features that work for them best. Trube has reached out to us a number of times to see if we need a feature that they don't currently offer so they can build it for us and I find that very unique. Thanks for the great review :) we are delighted to know you liked the intuitiveness of the platform and customer support. Since we're truly user-centric and committed to see our customer sicced, we take a proactive approach to find out ways to help our clients. We are honored to have you as a member of the ever-growing Tribe family. Pros: Pricing is fair and flexible. Facebook integration was somehow magical and increased users retention. Cons: As Tribe was a new venture, we had our fears of switching to this solution. But after working with their customer success team, we had tons of confidence in them as the right partner. Overall: We have tried a few different solutions in the market. When we decided to switch to Tribe, the team walked us through redefining the community objectives, make it more aligned with business and organization objectives. They also supported the whole smooth migration process. The fact that Tribe customer success team has a great business and community knowledge helped us realize great ROI. We started with their basic plan and as we saw results coming we upgraded to premium. Hi Taha! Thanks for taking the time to review Tribe. Glad to hear this was the right solution for you. We are looking forward to celebrating the growth of your community! 10/10 The best community platform! Pros: Tribe community platform was really easy to set up. Building a thriving customer support community around our software was crucial. The modern design and the smart widgets helped us implement and integrate the community elements into our product. The gamification system boosted the engagement by encouraging users to contribute. The customer success team was always available and supported us with their understanding of the business and their know-how of online community building. Cons: The custom integration app that Tribe implemented for our product had some bugs but to be fair, they fixed them right away after reporting by our team. Overall: A well-thought community platform with integrations that made us focus more on driving growth and engagement and less time on software development. Really appreciate you for taking the time to share your experiences. Your review really made our day. And we're happy to see that you liked the simplicity, customization options and support from our customer success team. Thanks for understanding that bugs can be present during the early days. We're completely committed to delight our customers, so quick resolution of any customer issue is our first priority. Great solution to my community network that I didn't know existed! Pros: They have more features to gather a great community than I could imagine. Glad to have you as our customer and really appreciate you for sharing your experience. We're highly optimistic of establishing long-lasting relationship and see you succeed. Tribe is an user friendly community software with loads of features. Pros: Making the decision to migrate from an existing community solution was very challenging. Tribe team really made it fast and easy by having the right migration processes and tools. Their community success team was always available to handle issues and requests. 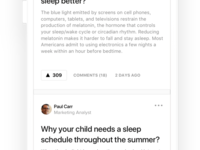 What I liked very much about Tribe is the simplicity of their core platform that can be extended with different apps based on my community need. We got all these great solutions at a fraction of cost we used to spend on the previous platform. Cons: Tribe did not provide us with any mobile app but to be fair the messenger integration was a great replacement. Their idea that people do not want to just install another mobile app sounded reasonable. Overall: Easy to use, modern design, fair pricing, and lots of useful integrations. Thanks for taking the time to write such a detailed review and choosing us as your preferred community partner. Glad that we could provide seamless migration experience and customization at your preferred price point. Pros: Their customer success managers are outstanding! They've answered all my questions within no time and helped a lot also with tips and tricks to kickstart the community. Cons: Some features were still missing when we started (f.ex. email notifications) but their development team is super fast and I'm sure they'll pick up these features in no time. Thanks a lot for your kind words. Really appreciate you for taking the time out to share your experience. And we agree, our customer success managers are paranoid about helping clients! 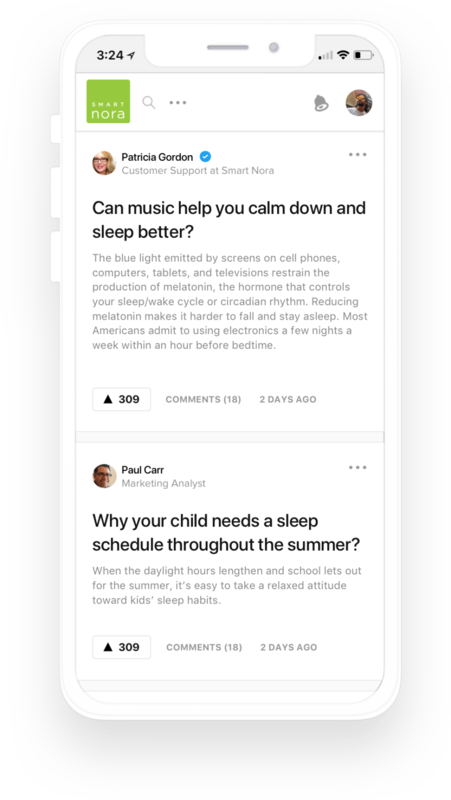 Pros: Similar to Quora but more advanced. Coin reward distribution is a plus. Cons: The navigation will make confuse at the beginning. Overall: I am satisfy so far. Since the development keep going for the new features. Appreciate you for sharing your experiences. Tribe has a very strong use case for communities around blockchain projects and we do that with our virtual currency distribution system apart from loads of other features and customization capabilities. Tribe has come a long way since the time you used our free trial. It has definitely become more intuitive. Thanks again for your review; we hope to see you as our successful customer in future.